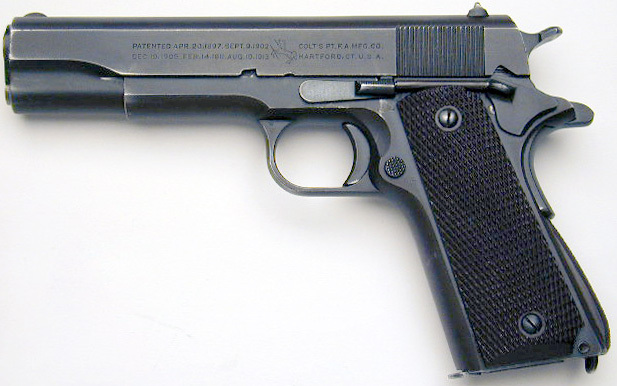 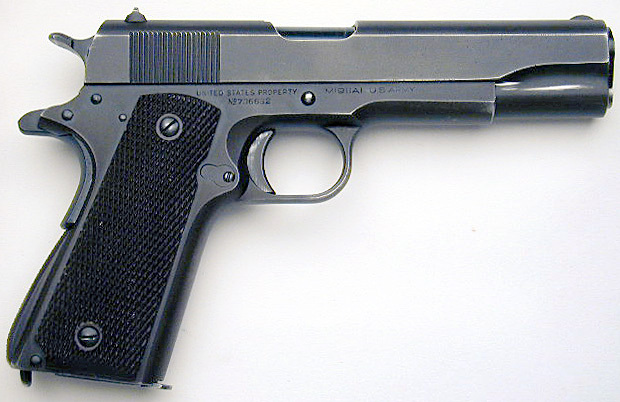 Colt Model 1911A1 S/N 736632 - Slide has a matching serial number, Manufactured in July of 1941, it was shipped in a batch of 2,300 to the Commanding General at Springfield Armory on July 31,1941, the Barrel is Stamped COLT .45 AUTO with a P Proof Stamp on the left lug and a G "government approval stamp" just forward of the lugs. 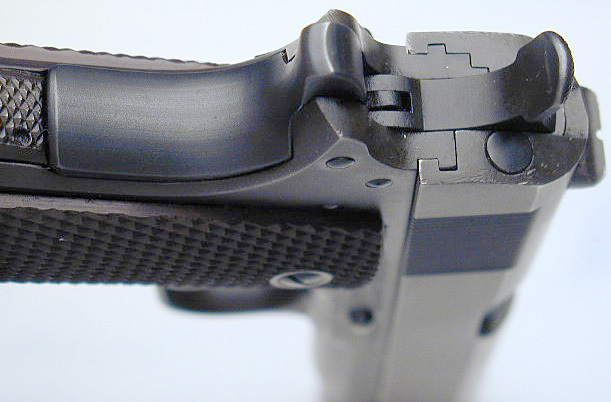 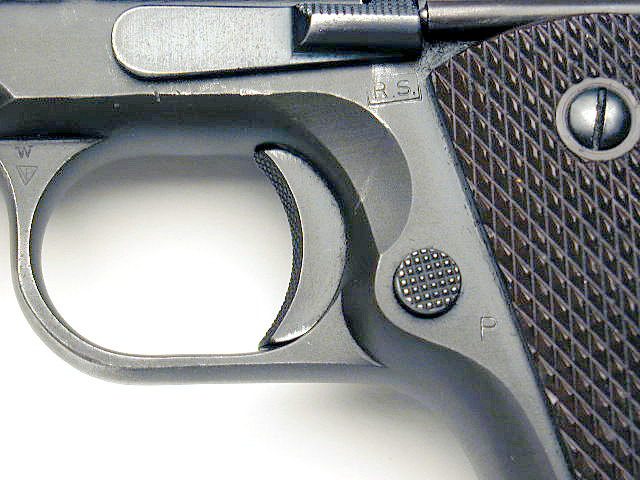 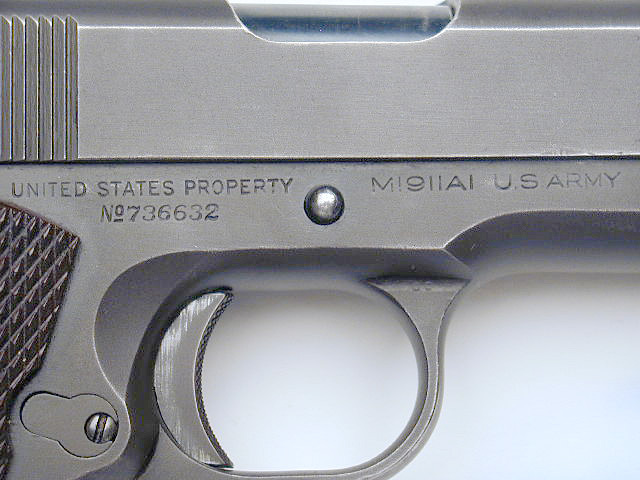 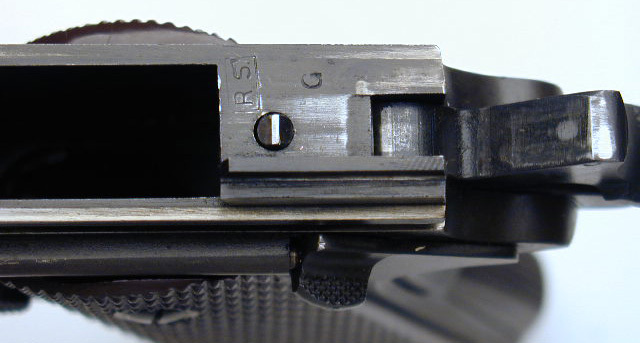 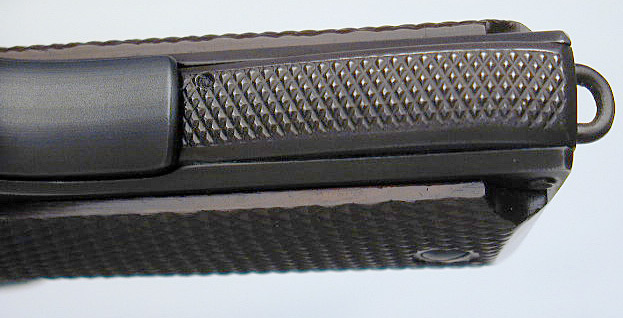 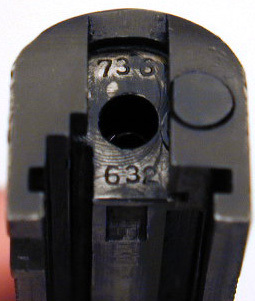 Matching serial number under firing pin stop. 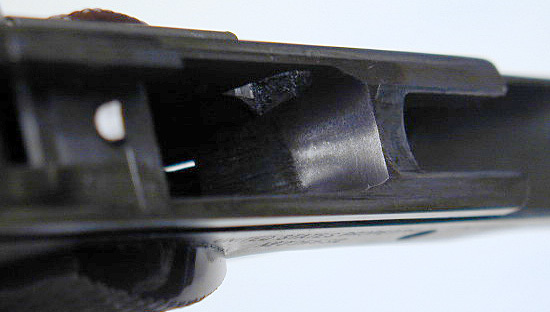 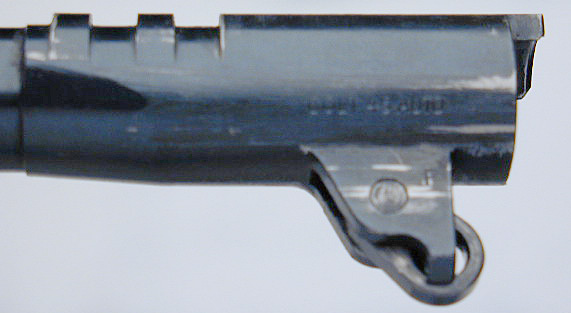 Barrel is Stamped COLT .45 AUTO with a P Proof Stamp on the left lug and a "G" government contract stamp just forward of the lugs. 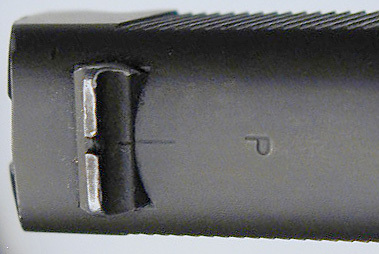 On the frame next to the disconnector it is stamped RS inside a Box for Colonel Robert Sears and G government contract stamp.